We will be providing some great tools for this event - suggested phrases, drawings, etc for those of us that are creatively challenged. :-) You will execute where you live, your mission field. 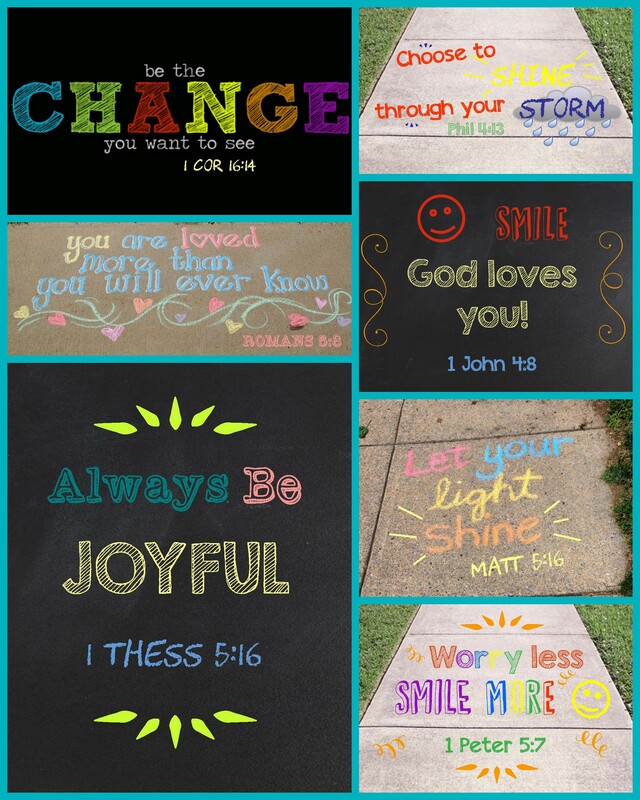 We will be sharing God's love through chalk 'artwork' ~ intentional messages of love and encouragement for all your neighbors to see. Since we need to also 'chalk responsibly', the primary place you will chalk is your own home but consider your entire driveway and sidewalk your canvas! 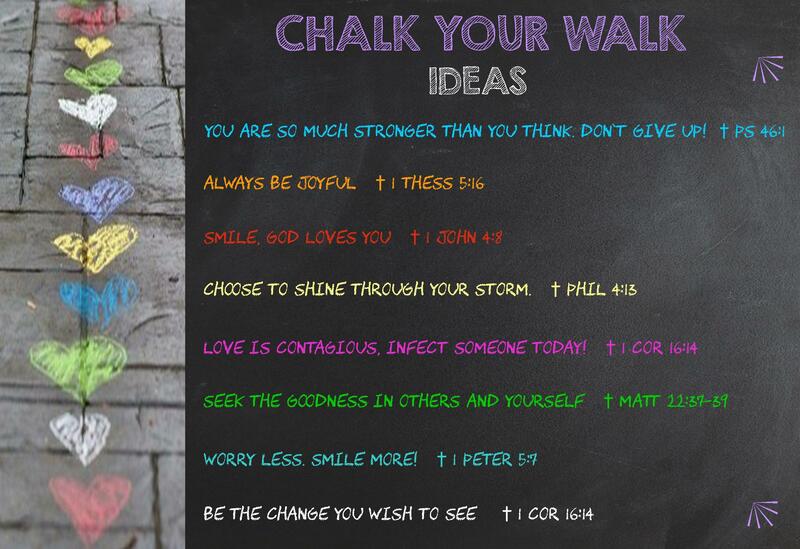 We will also provide a prayer walk resource. We are encouraging you to put on your Jesus shirts (church, God loves you, etc if you have them) and head for a walk around the block. You will be guided to pray for specific things over your neighbors. Take a trash bag and clean God's beautiful world as you go. Talk to your neighbors if they are out. If you know them, ask if you can chalk their drive. If you don't, tell them what you're doing. It's the 'what' (sharing God's love) that puts you on mission. Next level? Ask if you can keep anything in prayer for them. What an impact you will have! Your neighborhood will be cleaner, filled with messages of God's love and covered in prayer!